Mike Tyson is once again being drawn into an epic battle, but this time, it’s for a good cause-he’s fighting a fraudulent company that’s trying to acquire the latest technology. The boxer-turned-actor is fighting the business in the new crime drama, ‘China Salesman.’ In honor of the action movie’s release this month, Shockya is debuting an exclusive clip from the adventure film, which is titled ‘Set Up,’ and features the performer leading a brigade to stop the exploitation. ‘China Salesman’ is set to be released in theaters tomorrow, and then on VOD platforms on June 26, by Cleopatra Entertainment. The drama’s official distribution comes after it had previously been a high profile title at last year’s AFM. Chinese helmer, Tan Bing, wrote and directed the movie. In addition to Tyson, ‘China Salesman’ also stars Dong-Xue Li, Janicke Askevold, Steven Seagal, Zijian Wang, Li Ai and Eriq Ebouaney. Based on a true story, ‘China Salesman’ follows a dangerous and epic adventure in Africa, where a Chinese engineer/salesman comes face-to-face with a corrupt competitor over the contract for the first African mobile telecom technology. Local tribesman Kabbah (Tyson) and mercenary Lauder (Seagal) get drawn into the conflict in a classic, brutal hand-to-hand fight, while the entire country faces civil war battles. 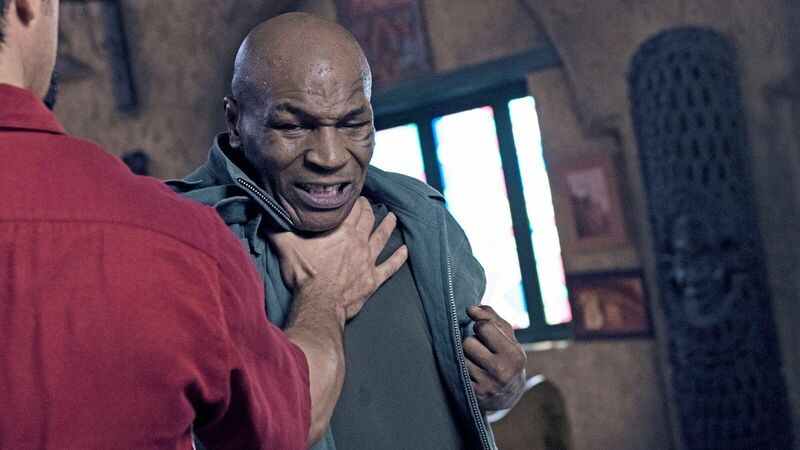 Shockya is debuting an exclusive clip from writer-director Tan Bing's action crime film, 'China Salesman,' which features actor Mike Tyson.